Villa Stein, luxury vacation home in beautiful Cabo San Lucas, is nestled on a one of a kind piece of property in Pedregal,where time seems to stand still, overlooking the Southern most tip of Baja California with a breathtaking, unparalleled view of the Sea of Cortez meeting the Pacific Ocean. Villa Stein is located in one of the most prestigious residential sections of Cabo San Lucas, 'The Pedregal.' The open ocean offers a variety of entertainment ranging from watching the whales frolic in the surf to counting the boats as they return to harbor at the end of the day. Our pool is cantilevered over the beach to take advantage of the location and a swim up bar makes it the perfect spot to spend the day. There is also a hot tub outside near to the pool. Daily housekeeping service is provided by our friendly staff. They will take care of making beds, changing towels and linens and general maintenance of the home. A French chef is available with prior notice, as well as a massage therapist. Our Non-Smoking rental home is designed to easily accommodate groups ranging from two to eight, depending on your room selection. We only rent to one party at a time to insure privacy for our guests. One floor of the home is not available for rent as it is reserved for owners use, Bill Stein and Caroline, but they are not at home when the villa is rented. Guests are wowed when they see the view from our pool deck for the first time!! wrap around balconies outside all bedrooms and the main guest house level. patio surrounds the pool with 8 sun loungers and 4 chairs. Our large circular pool is cantilevered over the ocean, affording guests the most spectacular experience. Aquarium glass window is a unique feature! please note it is NOT heated. Our full time staff separate us from the rest: They provide daily service keeping all areas clean and providing fresh towels and linens as required. Hotel style safes in every bedroom for added peace of mind. Incomparable views, lovely pool and friendly staff. Highly recommend. Thank you for your kind words! come back soon! Couple of things to know about the place. First its not laid out like a typical house. It more like a resort where each room has its own entrance from the outside. Except one bedroom that is connected to the living and kitchen down by the pool. We were adult couples so it was great as everyone had great privacy from each other but still got to hang out in a house environment. They also have a caretaker and maid that cleans your room everyday. Ismail makes an amazing shrimp ceviche. I would highly recommend having Martha and Ismael do breakfast and cooking if you want to stay in and relax. The owner is great. She really helped with with pre trip planning from groceries, restaurants and recommending companies to do stuff with. The pool view is amazing. Watching the sunrise is a must. The only bad part which really is not bad, is the taxis are a little pricey getting into town. $20 -$30 for a short ride. But Uber back up is on $4. I recommend just having Ismael order the taxis then Ubering back up. You do see whales in February from the pool. The Property feels and runs more like a resort than a house. Thank you for your review, we are pleased that you enjoyed your stay! The property was fantastic the best in the area. We had a great vacation, the villa is unbelievable and the view incredible. Thank you for your review. We are very glad that you liked our villa! 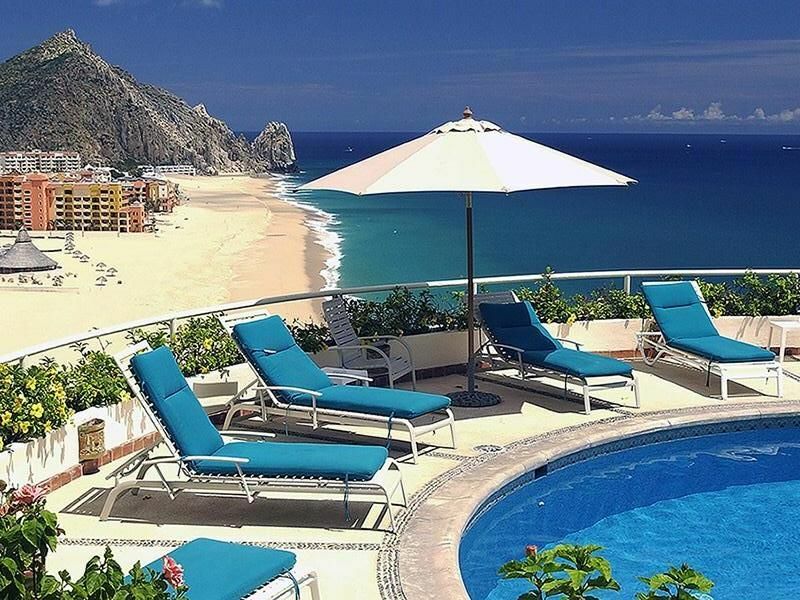 The view, pool, and location in Pedregal make this one fantastic home. Cant say enough about the view from poolside and the pics dont do it justice. Great place to stay for families and Ismael (caretaker) is there to assist with anything you might need. Caroline was wonderful to work with and made all the necessary arrangements available in a timely manner. Will definately rent this home again! We had a fantastic stay at the iconic Villa Stein. None of the pictures can do justice to the incredible views you will enjoy. Bill and Caroline were very easy to work with, and Ishmael was tremendously helpful with anything you need, from reservations to laundry, cooking to fresh towels. Our four bedroom experience consisted of the entire first floor at pool level, which houses one bedroom. And then three one bedroom suites on the top level, all of which are private and my kids loved that. The sunrise each morning is life changing. You will love your stay here. Thank you so much for you review Bob. Its always so gratifying to hear that our guests love the house as much as we do! completely agree re the sunrise! We hope you and your family come back. Amazing view, incredible pool, lots of privacy! I couldn't be any happier with this house! Caroline (the owner) was extremely responsive with questions about the property throughout the booking process and very attentive after we booked as well. She connected me with Claudia, the concierge for the house, who gave us all the info we needed and helped us book a personal chef service (DO IT!!!). When we arrived, there were margaritas, quesadillas, and fresh guacamole waiting for us. The caretaker/groundskeeper Ishmael was very nice, helped with our bags, etc. Just a heads up - Ishmael is kind of "around" all the time, checking in on things. This wasn't a negative by any means - it was nice because he's there to help if you need anything - but I wouldn't plan on walking around naked! The VIEW...I mean, the pictures nail it. It's an incredible view and you can enjoy the beach without getting sand in your suit! The pool is perfect and the fact that there's a swim-up bar... mean, that's just icing on the cake. A note about the pool - all the floats we brought with us had a green ring on them after just a little while in the pool. White swimsuits turned a bit green as well. I don't think it's a big issue, but I wouldn't wear a brand-spanking new swimsuit if you're gonna hang out in the pool all day. There's a ton of privacy between rooms. Each room is separate from the common areas, so it's very private. OH! There are 3-4 different levels, so be prepared for a lot of stairs - I actually loved this, because you really won't want to leave this incredible house, so the stairs are the only activity you'll get! I can't say enough good things about this place - I would definitely stay here again!